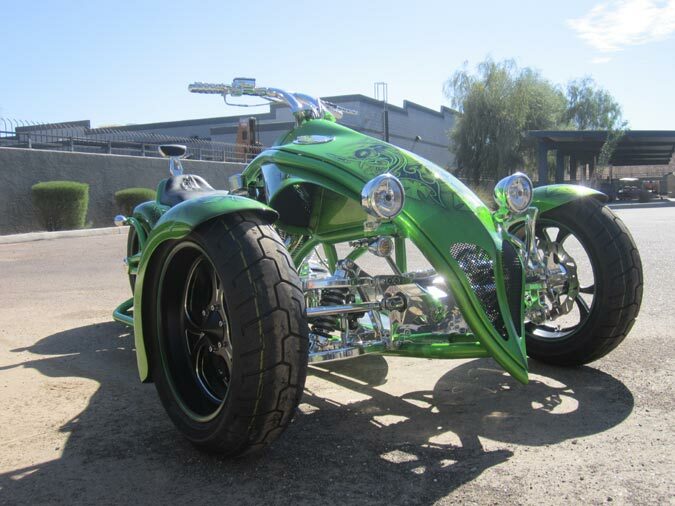 The Bourget Scorpion RT (Reverse Trike) is now available by special order. 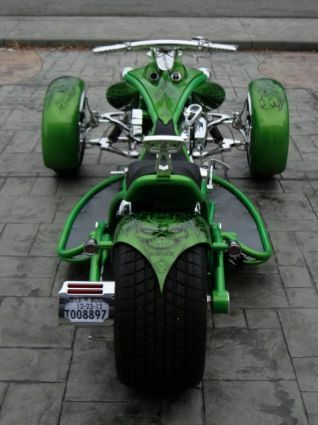 There is not another 3 wheeled vehicle on the market to compare with the Scorpion RT! 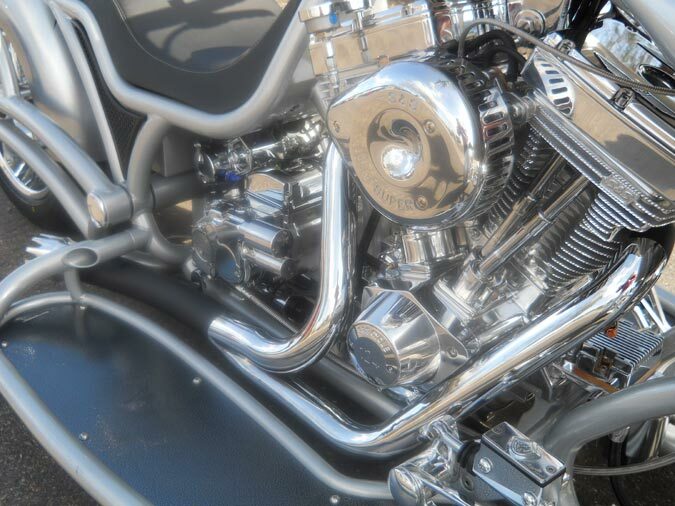 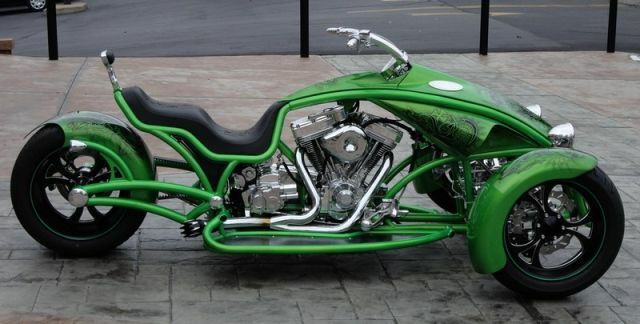 This is a great “in-between” bike for guys and girls wanting or needing a little more stability than a traditional motorcycle can offer but are not quite ready to step into 4 wheels with the Shredder. 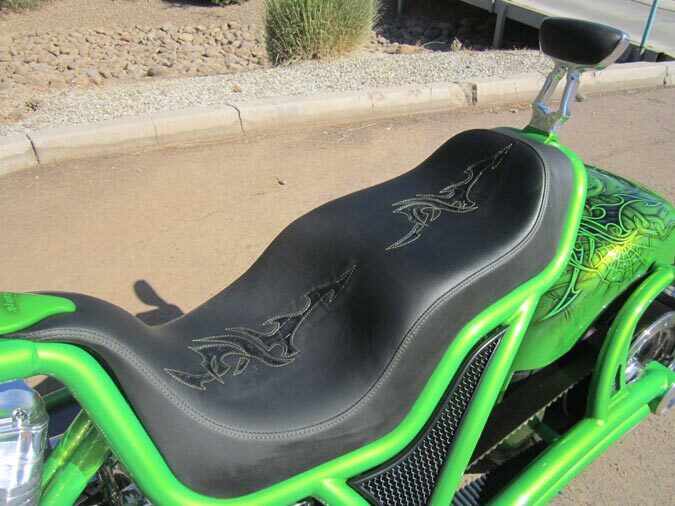 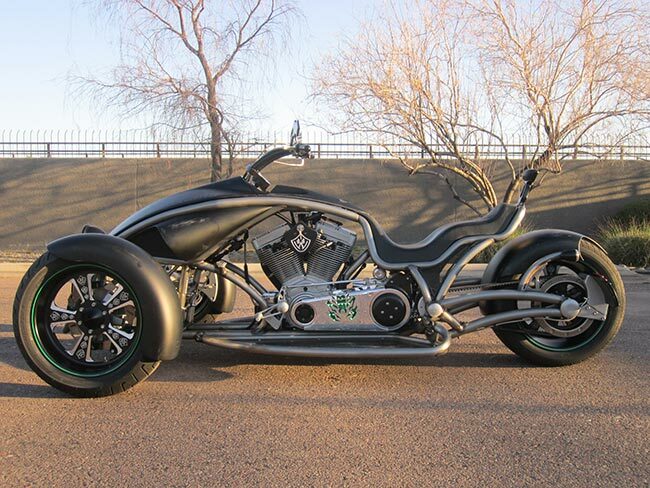 The Scorpion RT gives you the best of both worlds – more of a motorcycle feel than the Shredder but more comfort and stability than a motorcycle. 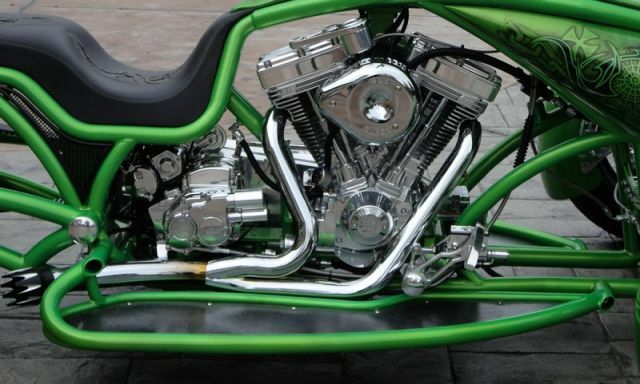 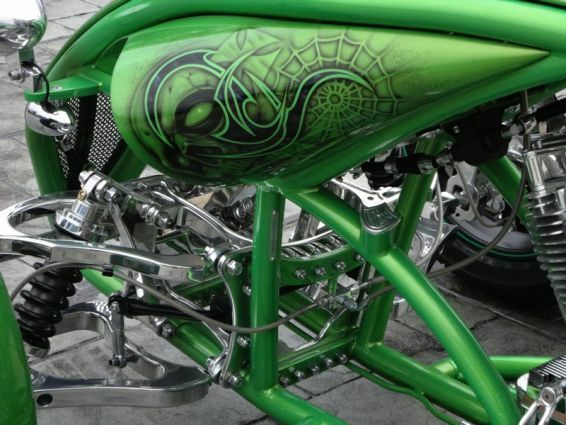 The Scorpion RT utilizes Bourget’s patented drop seat/oil in frame design chassis that is meticulously tig welded using only the best quality 1-1/2” DOM tubing, 1” chrome moly spindles, T6 Billet A-arms and Bourget’s 8” stretched Scorpion RT swingarm. 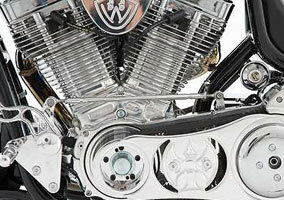 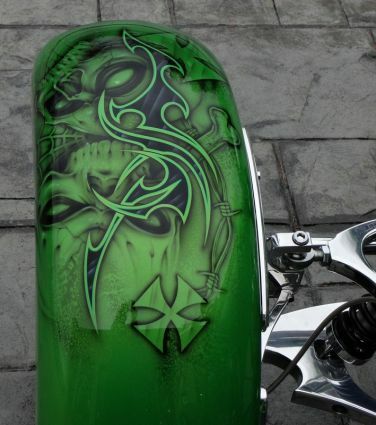 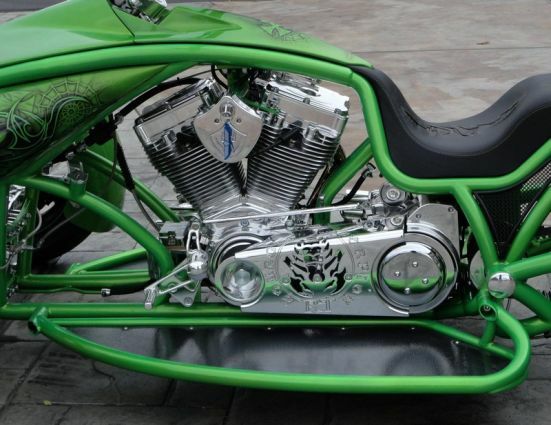 The Scorpion RT front end is almost a carbon copy of the Shredder’s as far as ease of handling and common components. 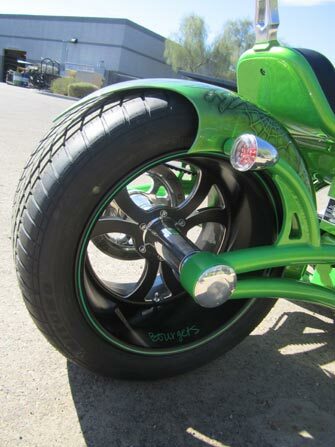 Bourget’s own Rack & Pinion Steering, A-arms, and Walker Evans Racing Shocks provide smooth, stable, comfortable and virtually effortless steering. 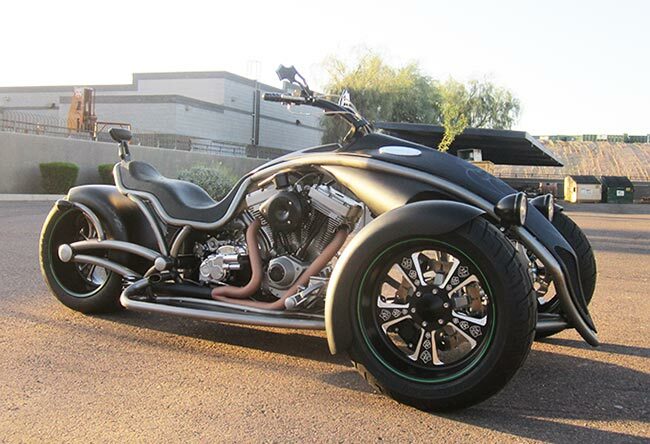 The Bourget’s Scorpion RT swingarm, 2” Carbon fiber rear belt with Bourget’s patented cush-drive Jackshaft and Progressive Suspension shocks are the perfect combination for a smooth ride for both passenger and driver. 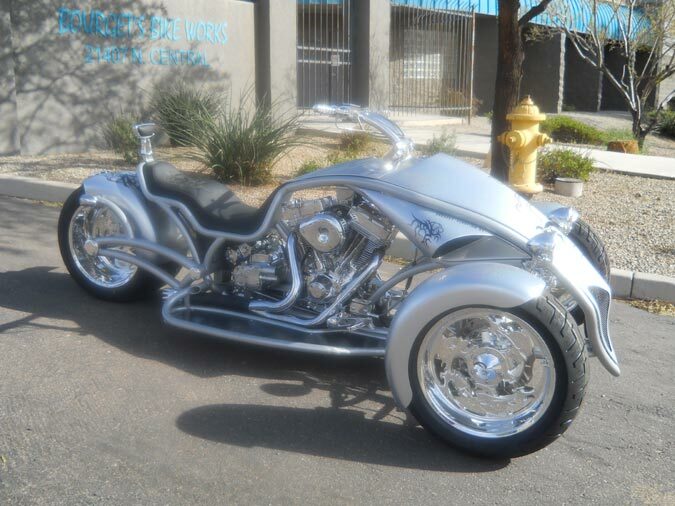 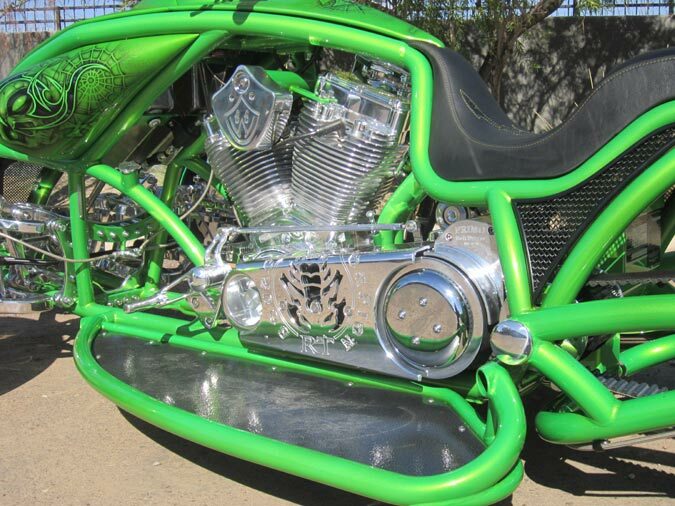 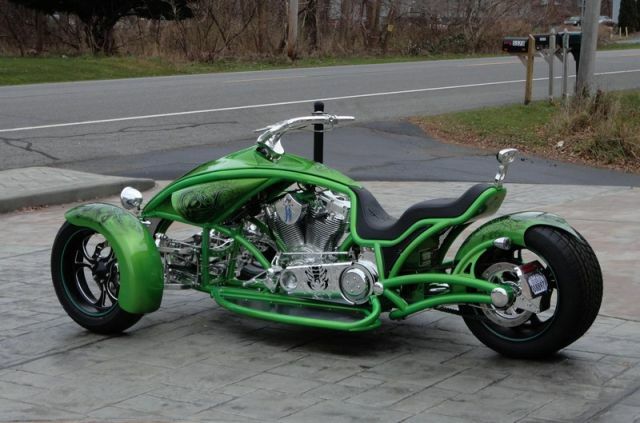 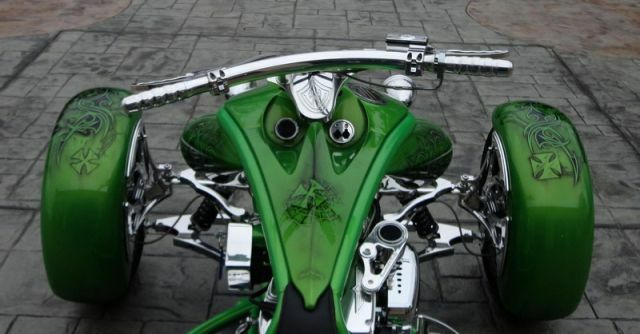 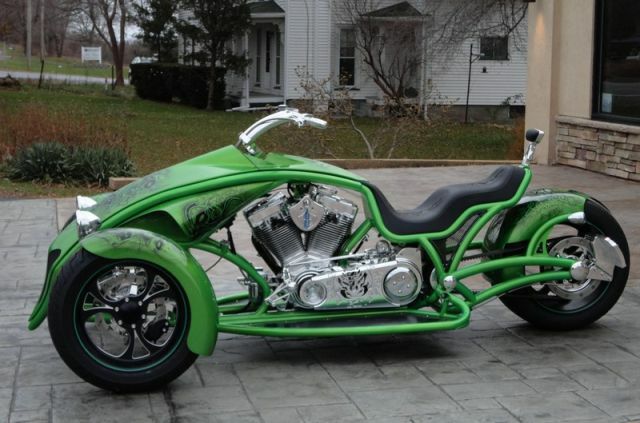 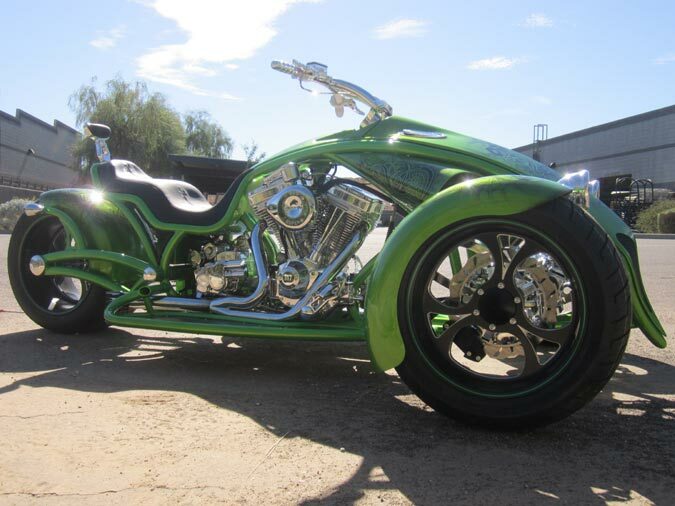 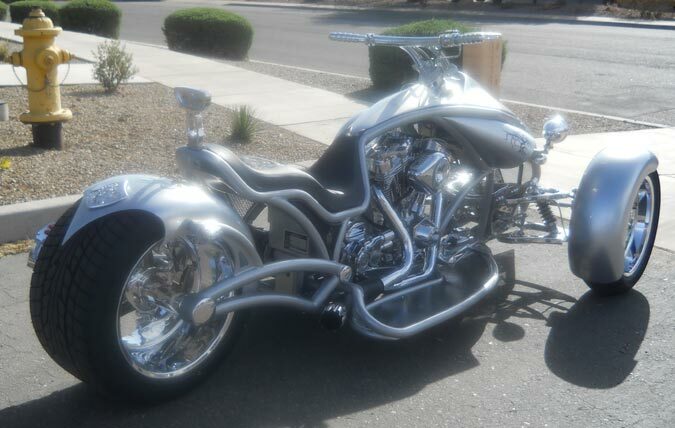 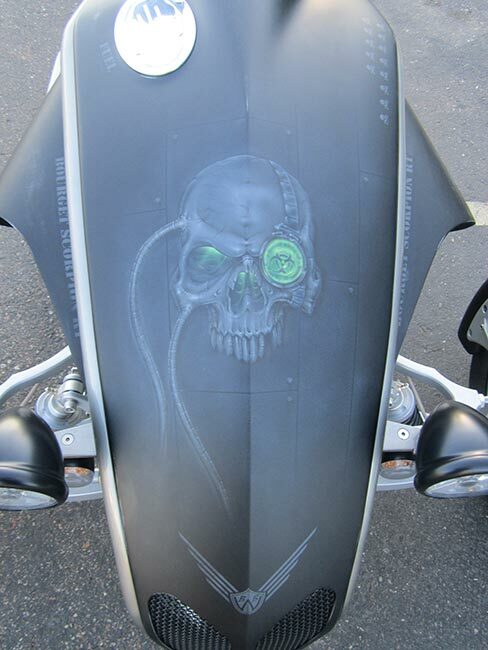 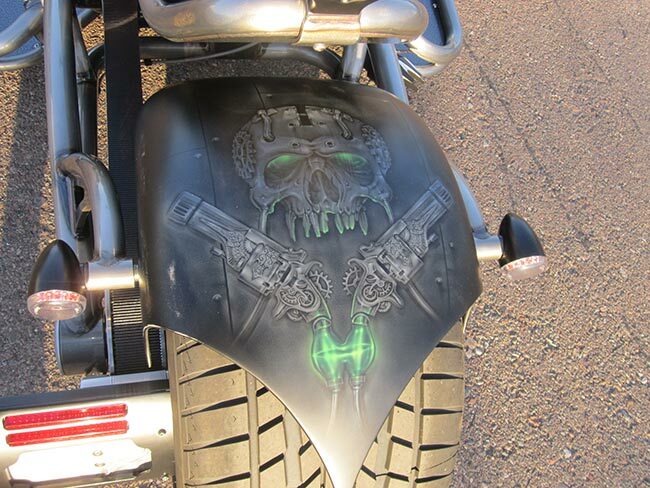 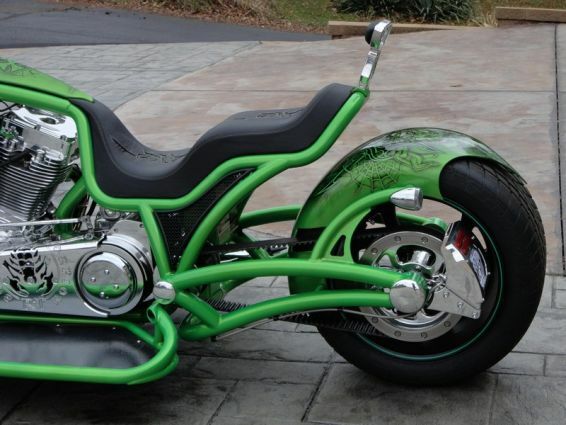 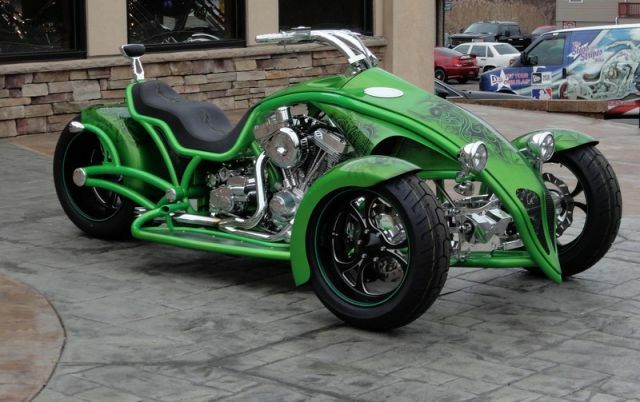 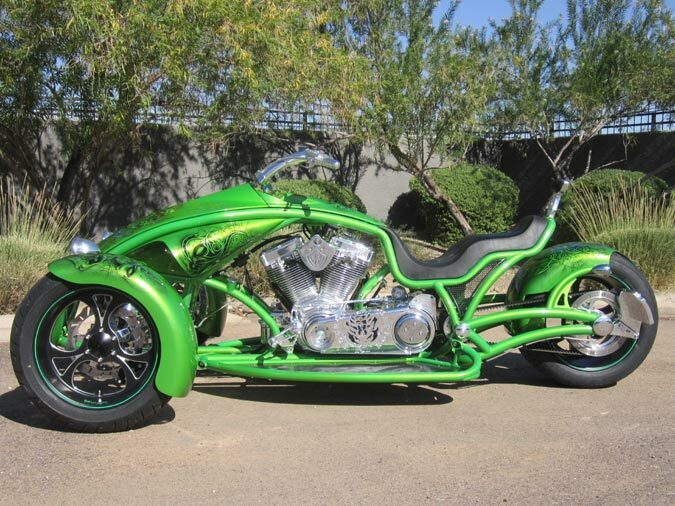 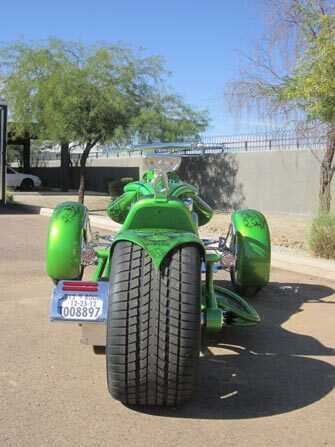 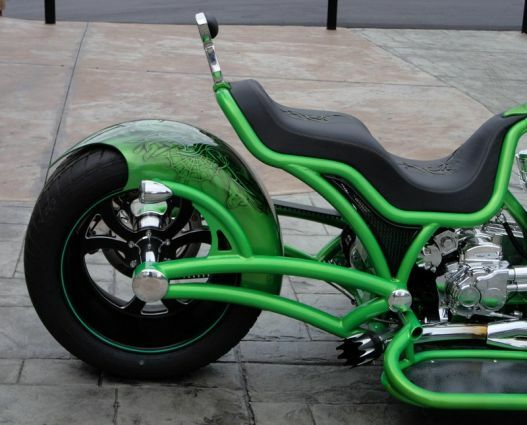 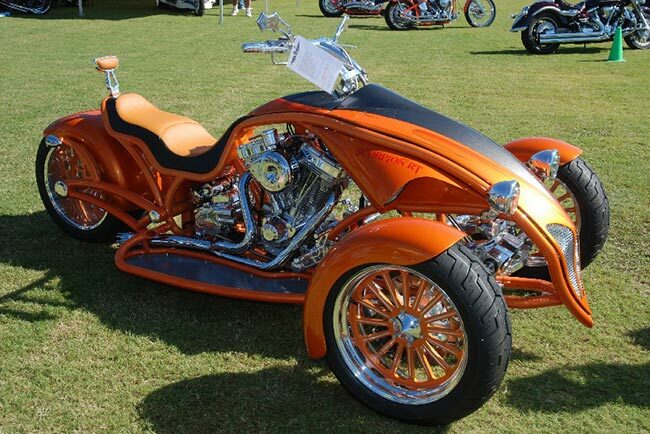 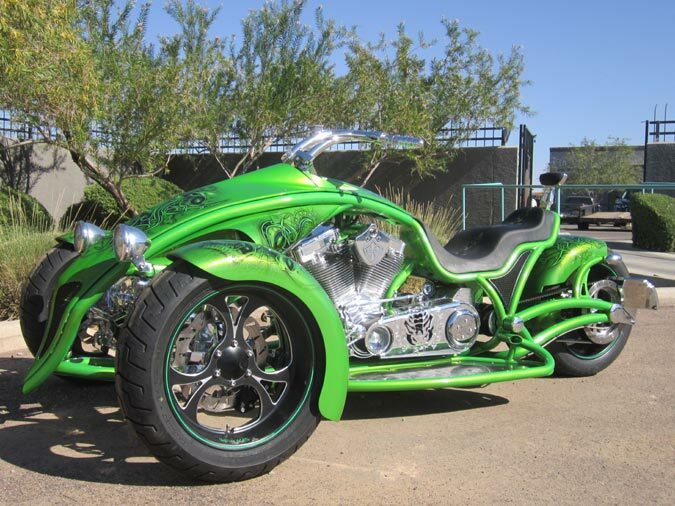 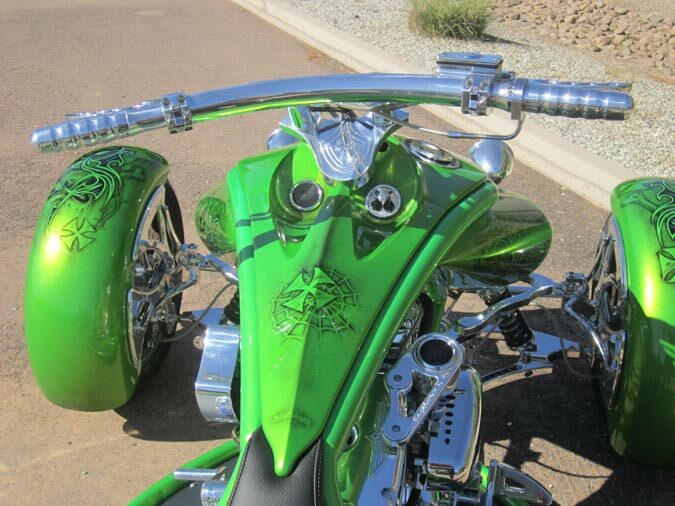 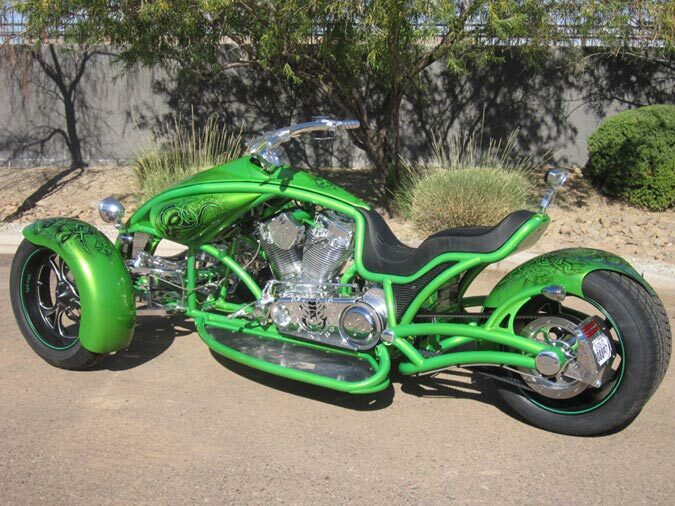 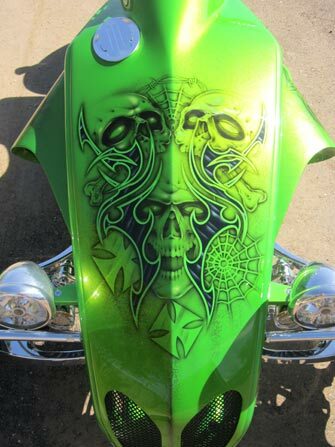 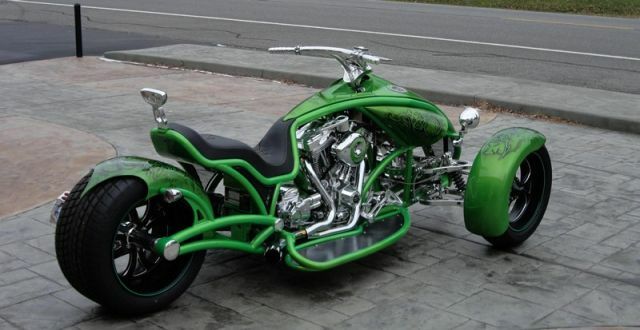 While it may have 3 wheels, make no mistake, this is no traditional trike! 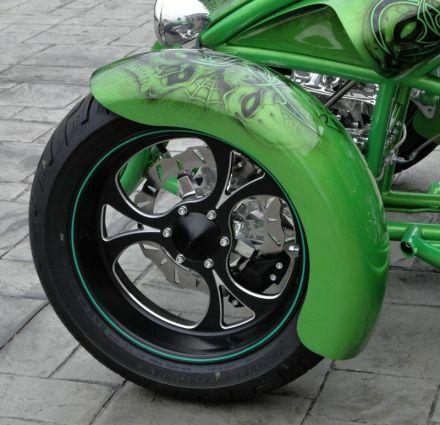 Scorpion RT's are limited in production and are available by custom special order - built to your specifications as far as engine style, color, wheels, etc. 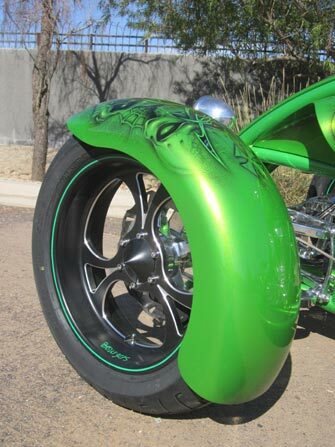 The first two 2017 Scorpion Chassis and Sheet Metal are built and ready for your personalization. 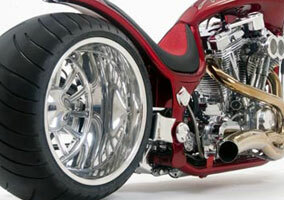 Please email brigitte@bourgets.com for current pricing, build times and more information. 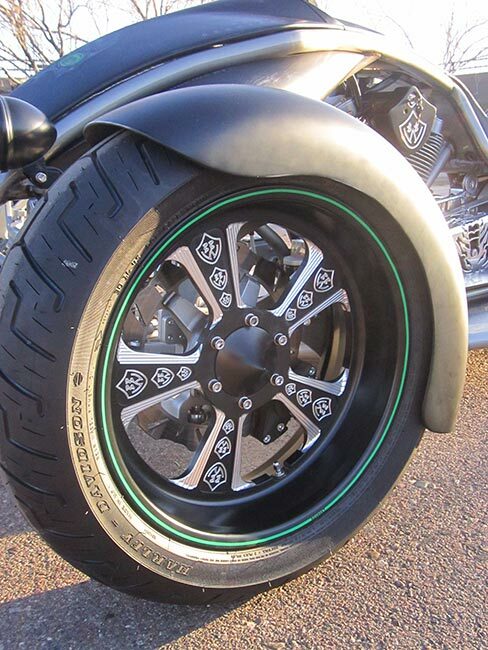 FRONT END – BRAKES, MISC. 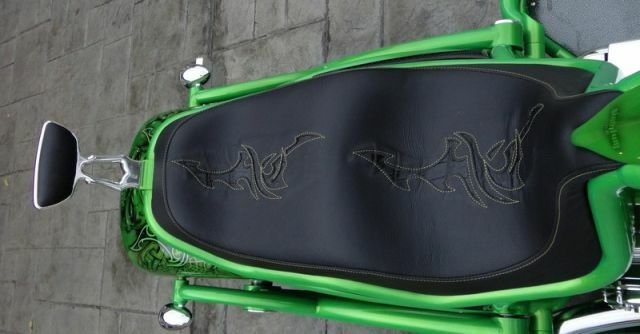 • Exotic Skins available –Snake, Ostrich, Gator, Crocodile, Stingray, etc.